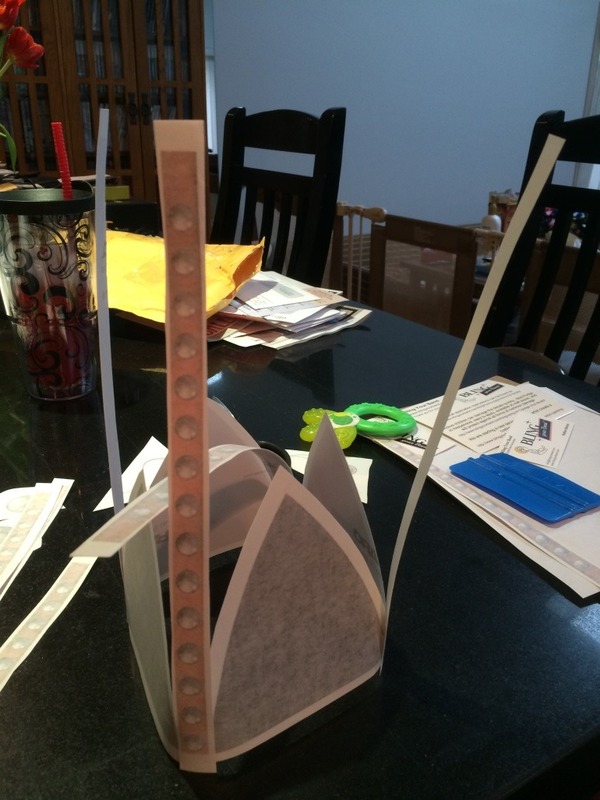 This entry was posted on July 15, 2014 by wp_admin. 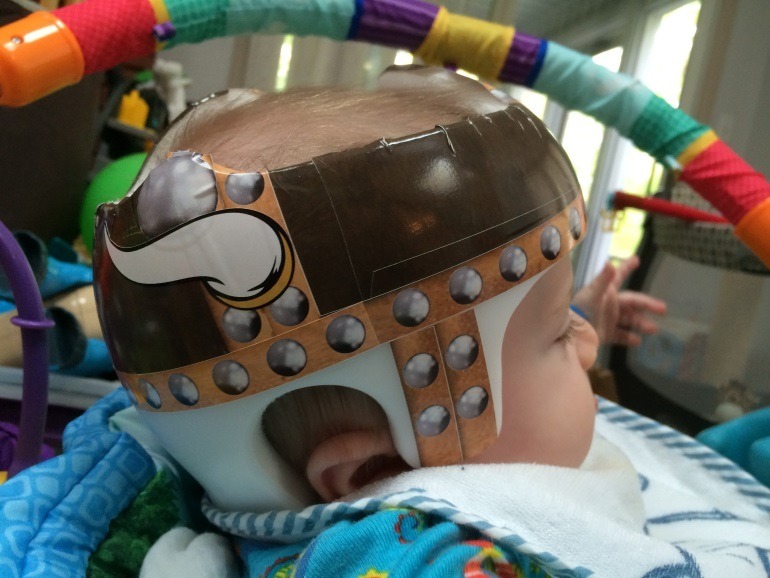 The Viking baby helmet design is a little more complex to install than many other of our decals. 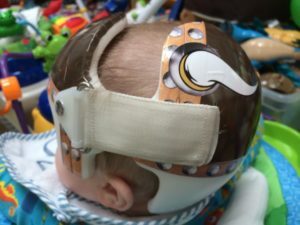 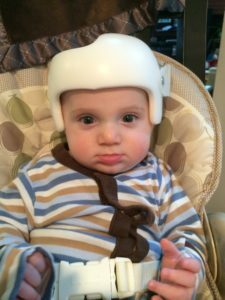 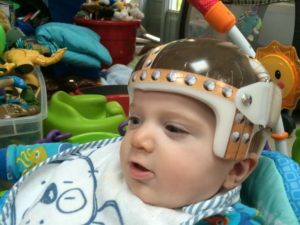 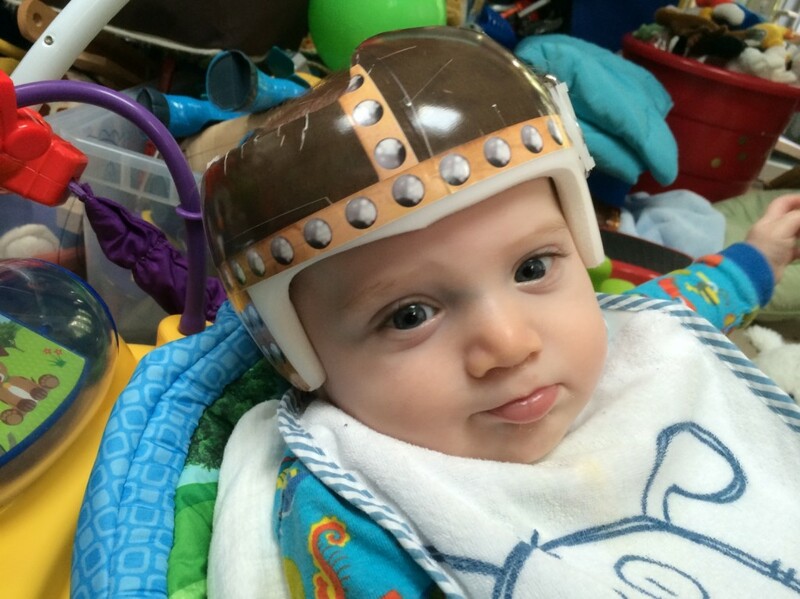 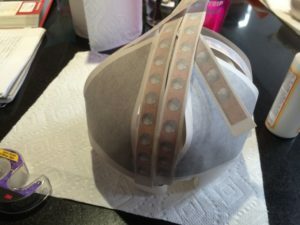 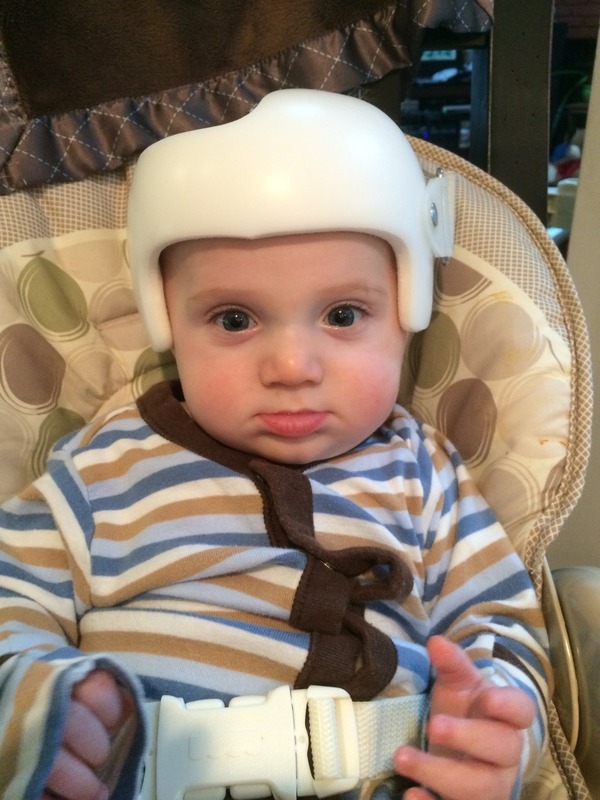 Some fantastic customers did a step by step photo blog on how they applied the decals to their son's cranial band in exchange for the first set of Viking helmet decals I created. 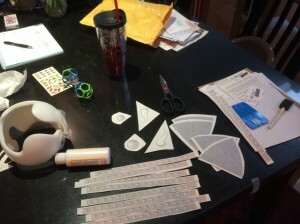 First, they cut up the decals which ship in two separate sheets. We suggest taping the decals in place to check the fit. The grommets need to cover the seams. 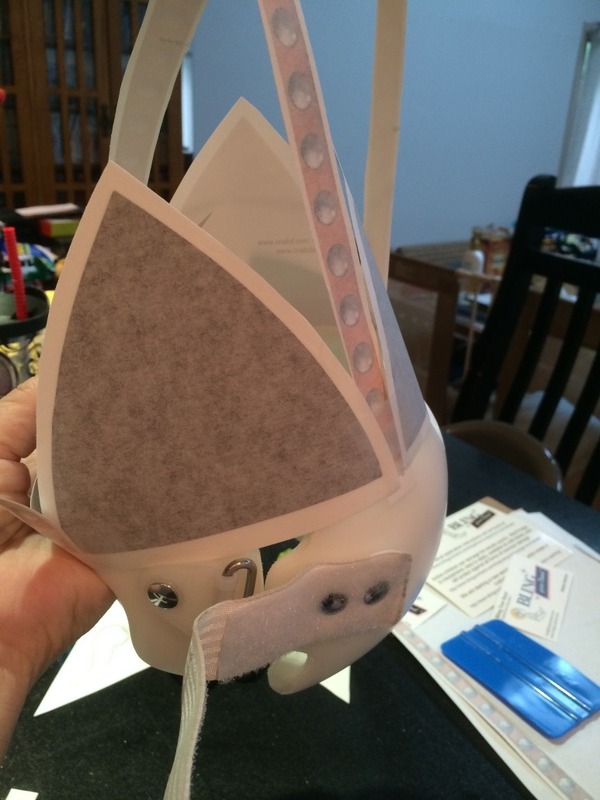 If the helmet has a large diameter, two rows of grommets can be used to help make up the space. Once the parts all fit together to make design work, tape them together in the order they should go. 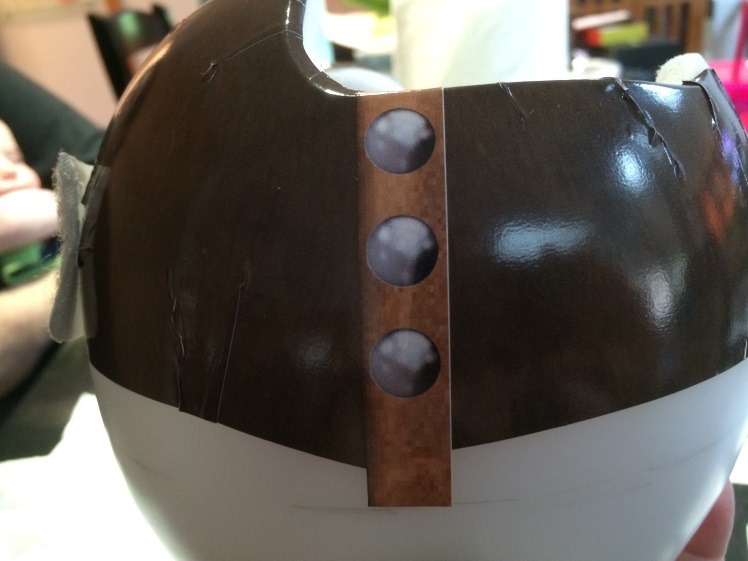 Mark on the helmet with a pencil where the panels should go. They considered their application of the panels to be very ham-handed, but that it all worked out in the end. 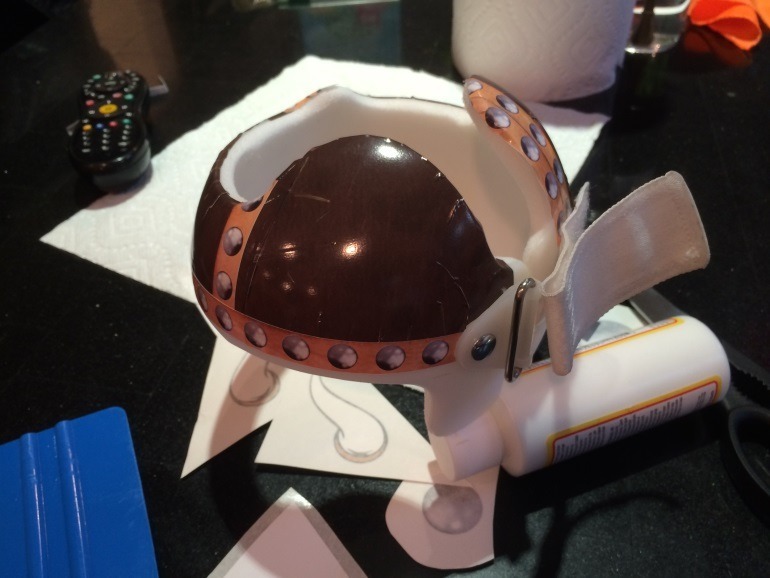 The biggest problem they had was a little failure to plan far enough ahead. 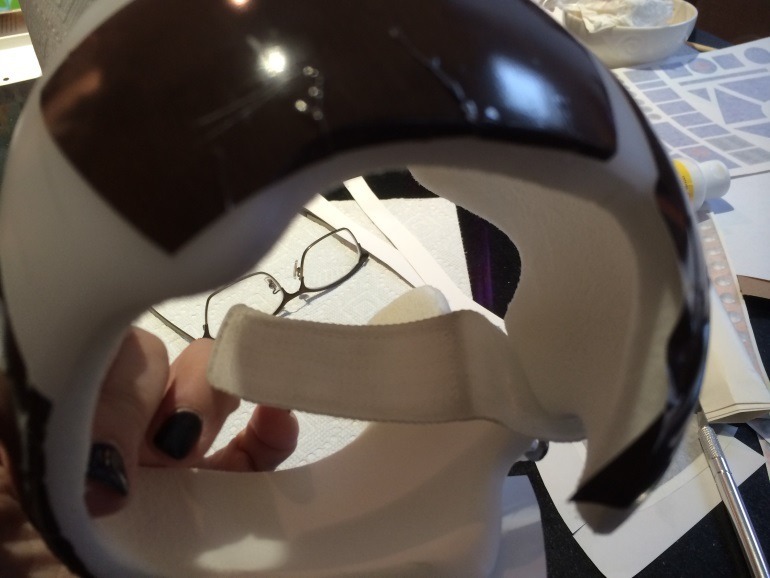 The horns should have gone in the gap on the left hand side but the initial placement was off, so they had to move them back. 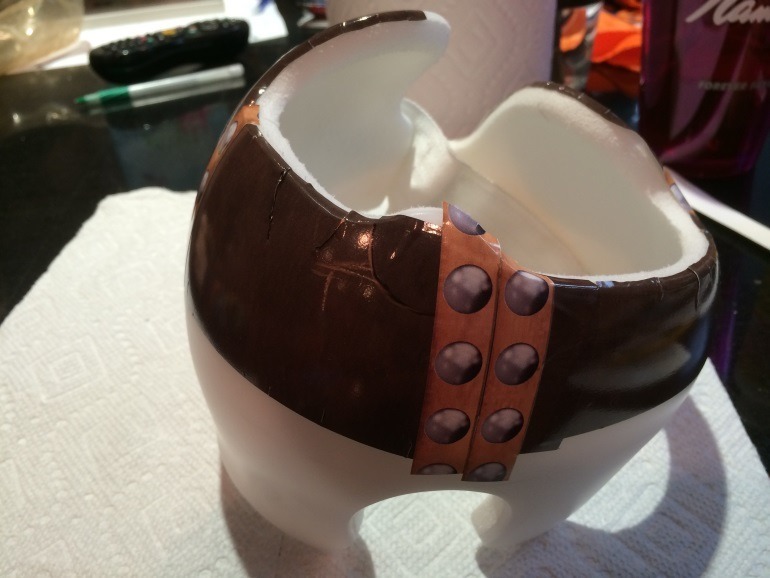 If they had planned ahead, the side grommets would have gone over the side burn grommets. 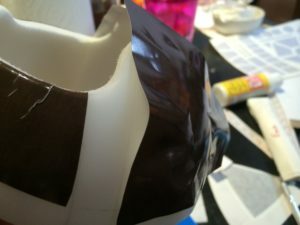 These pictures are all pre-Mod Podge. The Mod Podge smoothed out the patch-work lines very nicely. There were Plenty of Grommet strips. 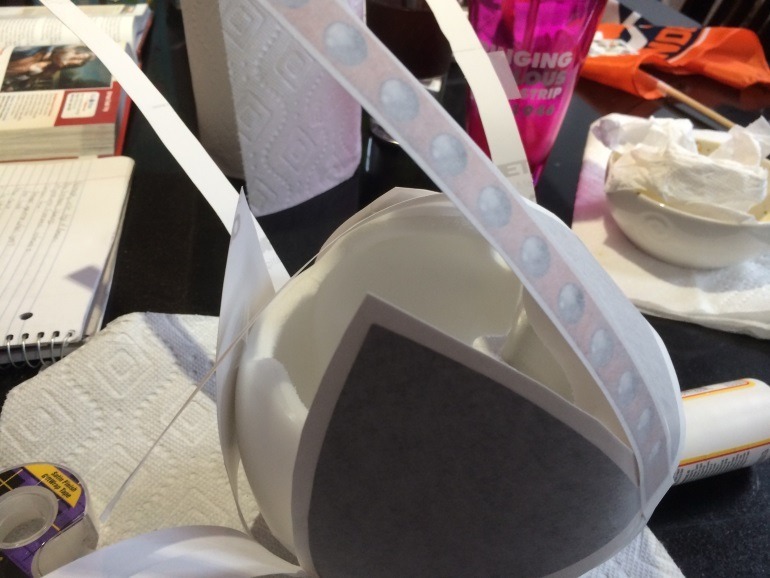 I had 3 whole strips leftover. 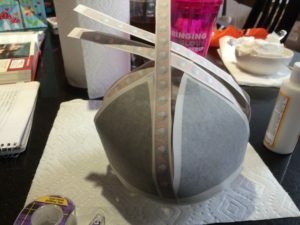 If I could have sewn on a horn over the Velcro strip, that would have rocked. Thank you so much for this experience, I think this will be a good seller, you could Viking and knight (silver) versions. 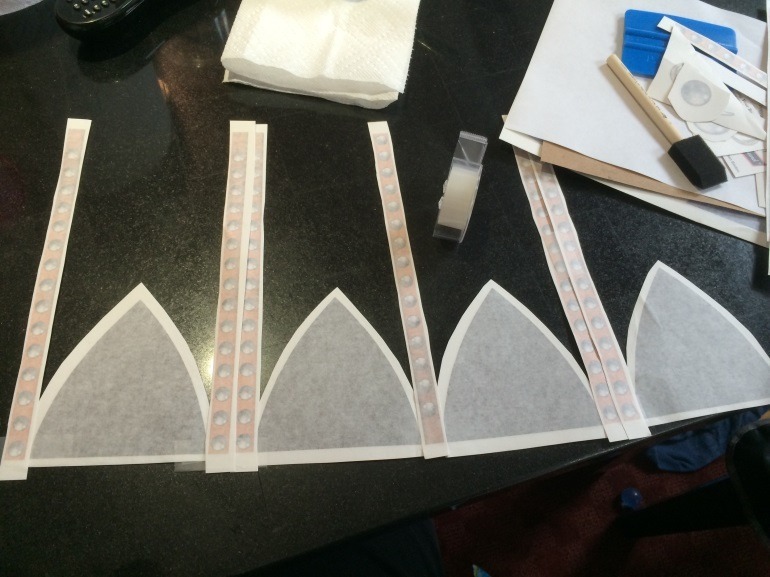 - Triangle “panels” could be a bit bigger at the base. 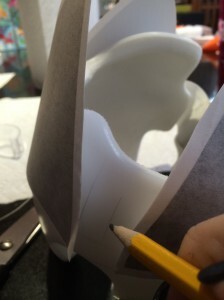 But don’t have to be very tall, as the tops of DOC Bands ™ are typically open.